Coldplay performed a ‘beautiful’ rendition of Linkin Park’s Crawling in tribute to the late Chester Bennington. The band were performing at the MetLife Stadium in New Jersey yesterday on the first leg of their North American tour. During the show, Coldplay frontman Chris Martin paused to pay tribute to Chester Bennington, the lead singer of Linkin Park, who took his life at his LA home on 20th July. I know this is probably going to end up on YouTube so I want to do it right. 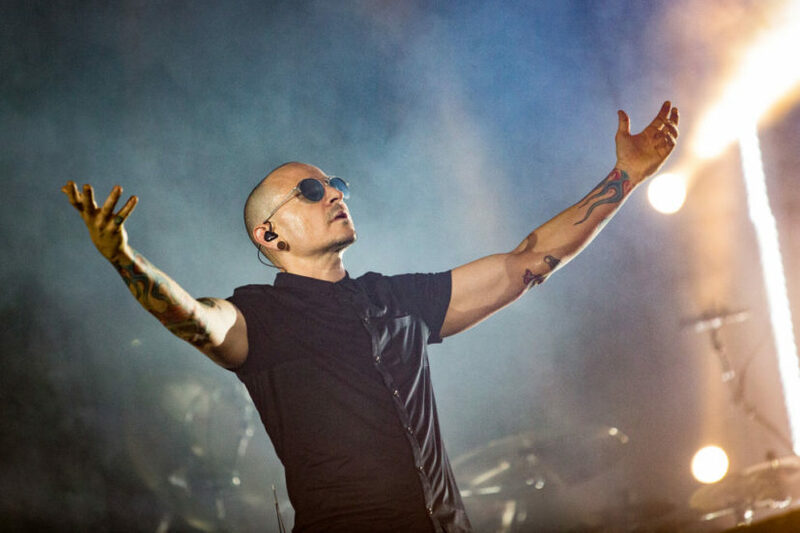 He went on to perform a stripped down version of ‘Crawling’ on the piano to the crowd where Chester’s bandmate Mike Shinoda was watching on. After the gig, Shinoda posted the video on his Instagram account and thanked the band calling the performance ‘beautiful’. Thank you @coldplay ?? It sounded beautiful. Shinoda founded Linkin Park with his high school friends in 1996 with Chester joining later as a lead vocalist. 20 years later he was one of the first to confirm the death of his friend on Twitter.